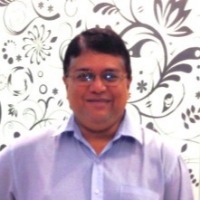 Sitharaam Jayakumar would like you to review his/her blog. Though the url of my blog suggests it is a poetry blog , it contains a greater number of articles than poems. The reason for the misnomer is that I started of with the intention of writing poetry alone and named it as such. But as time went by, I started writing articles on topics that interested me or appealed to me deeply. My blog does not cater to any one particular topic like health or lifestyle. You will find articles ranging from common topics like science to ones like gender equality or tips on how to sustain a conversation. There is one post on extra-terrestrial life too. I mention this just in order to emphasize on the deiversity of topics. I would be grateful if you could take a bit of your time to review my blog, post comments and give me feedback on how I can improveit. I am not averse to criticism and all kinds of comments are welcome. Hope to recieve your suggestions soon.